Schadow1 Expeditions shares its mapping data with the open source and crowdsourcing community. Hence from its numerous expeditions all over the Philippines for the past decade, over 2.5 million of its data has been shared and integrated to OpenStreetMap. Data from our expeditions are being compiled for offline use to Garmin™ GPS devices. 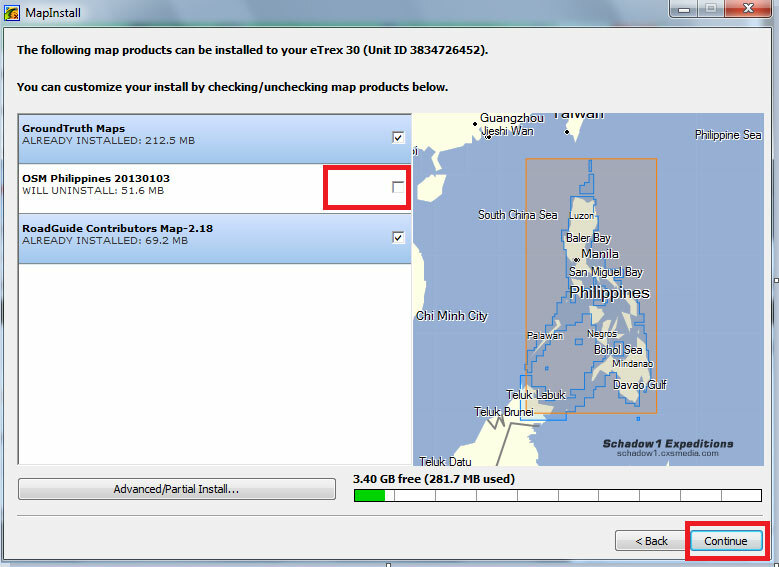 The following is a guide on how to install our maps to your device so that you will never get lost in the Philippines. Schadow1 Expeditions has been compiling our mapping data and OpenStreetMap (OSM) for the Philippines weekly for use on Garmin navigation systems. This includes the Garmin Nuvi, Etrex, GPSMap, Mobile XT on legacy Windows Mobile phones and many other compatible Garmin devices. The data from OSM is updated in real-time as contributors are revising it and changes can be seen via their website at http://www.openstreetmap.org. While the compilation of the Philippine data for Garmin devices happens almost every week and it may be downloaded at our #mapPHL page. 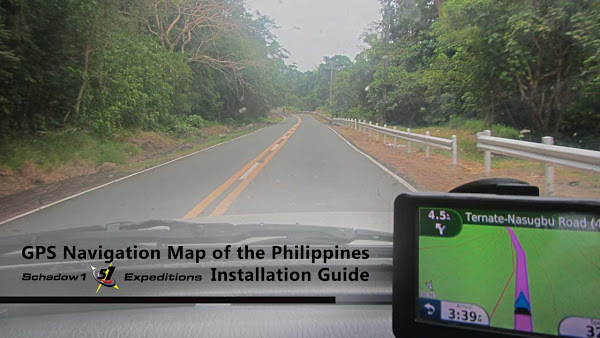 The GPS Navigation of the Philippines by Schadow1 Expeditions is available in three (3) formats. This is a ready-to-use map file that can be loaded directly to your Garmin™ navigation device. Just copy the included gmapsupp.img file directly to your device's storage. The file location varies depending on the unit. Please refer to your device's manual/documentation for more details. 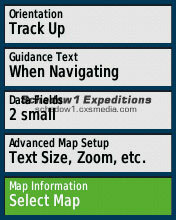 After copying our GPS map to your device, head on to Enabling the Schadow1 Expeditions Map on your Garmin™ GPS devices. This GPS map format allows you to utilize our GPS map in your Windows PC and Mac through the Basecamp or Roadtrip application. The application is required prior using our map. The use of the application allow you to plan routes and set waypoints prior the trip and load the map to the Garmin device. Our GPS Map, in this format, requires Garmin Basecamp or Mapsource installed on your Windows PC. Installing the map in your PC and utilizing Basecamp and Mapsource will allow you to use the application to plan routes and set waypoints. Note: If you are using Basecamp higher than version 4.70, you will not be able to transfer the GPS map to your navigation device using this installer. Please use the Roadtrip format of our map and follow its installation procedure. Here are the requirements before you can use the Schadow1 Expeditions GPS Map of the Philippines to Basecamp and to your GPS device. After you have downloaded and installed Garmin Basecamp on your computer, you can now download the mapsource installer of the GPS routable map of the Philippines at our GPS Map of the Philippines Download Page . After which, run it and install it on your computer. 1. Open Garmin Basecamp and you should be able to see the map installed on your computer. In the example below, you can see the 20180603 version of the map. 2. Connect your Garmin device to your computer, once connected and detected, it should appear at your Garmin Basecamp. 4. A new window will appear. Select customize and place a check mark on the Schadow1 Expeditions Map. Hit next until it will start to transfer the map to your device. 5. Click finish once done. Then enable the map on your GPS device. 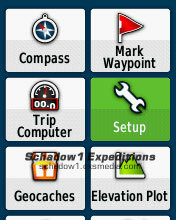 Enabling the Schadow1 Expeditions Map on your Garmin™ GPS devices. Disable all other maps then enable the one from Schadow1 Expeditions. Some other maps can co-exist as enabled at the same time such as the 10-meter Elevation Contour Map of the Philippines provided by Schadow1 Expeditions, but do not enable two routable maps of the same country at the same time. If you have installed the Schadow1 GPS Navigation Map of the Philippine via copy and paste, simply overwrite the previous version of the file. If you have upgraded the map using the Mapsource map installer, uninstall the map first then install the map on your PC using the updated Mapsource map installer. Then use the Basecamp application to transfer the map to your GPS device. 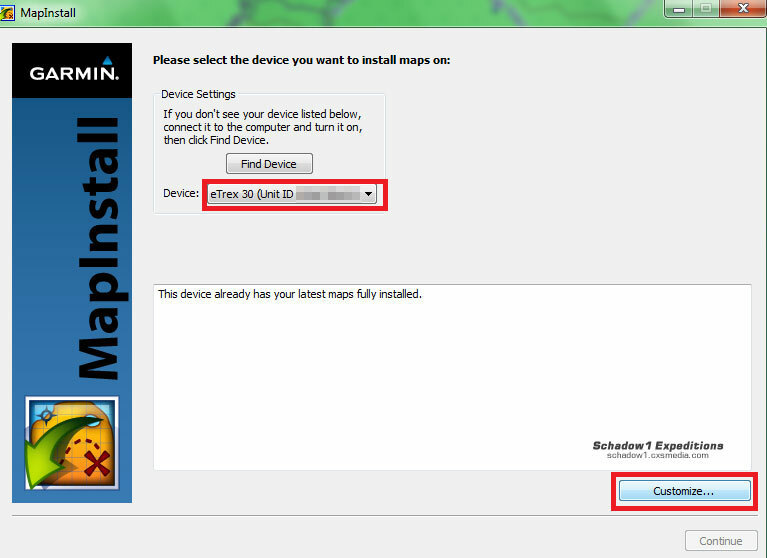 However, this time, when you insert your device and try to install a map, Garmin Basecamp will think that you have already installed the latest map on your Garmin device. This is false, so you would need to delete the map first before uploading back the new version of the map to your device. Right click your device then click install map. Click customize and uncheck the Openstreetmap Philippines map. Hit next until you can push the finish button. Once done, you have removed the Schadow1 Expeditions GPS map on your Garmin device and you would need to do the same steps "Transferring the Schadow1 Expeditions GPS Map to your GPS Device" (Steps 1-5) to upload the new version of the GPS map on your Garmin device.